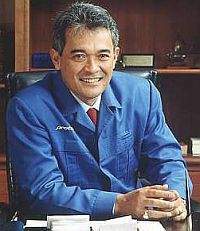 5 Malaysian dailies have reported that Proton Holdings Bhd boardmembers have decided to give it’s chief executive Tengku Tan Sri Mahaleel Tengku Ariff a week to explain the basis of his criticisms of the government’s automotive policy. This was decided after the meeting held on 30th June. Tengku Mahaleel is believed to be overseas in London now. There is still a possibility of him losing his job. There is no official statement by Proton, but shares have dropped 15 cents lower to RM7.20 as of yesterday. But another article by Utusan Malaysia reports otherwise. It reports that the Prime Minister personally checked the meeting and found that no such decision to call for an explanation in 1 week was made.